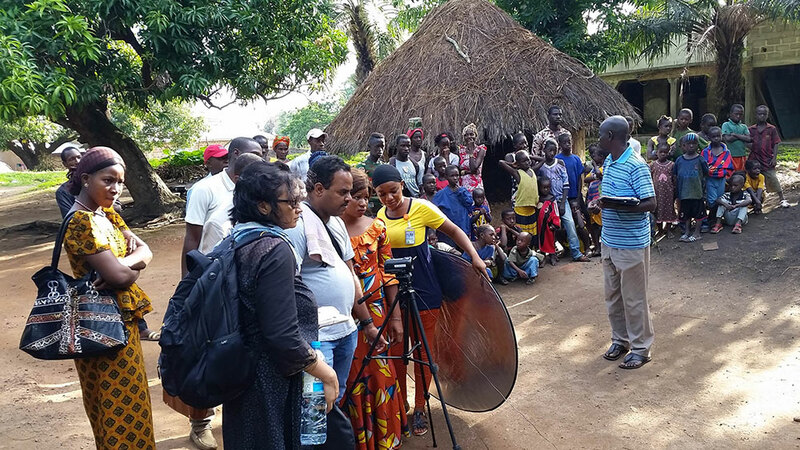 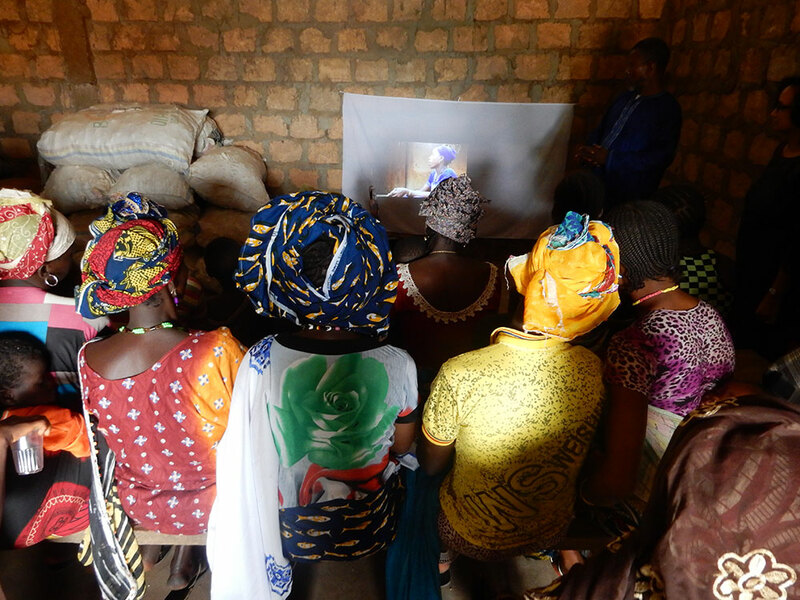 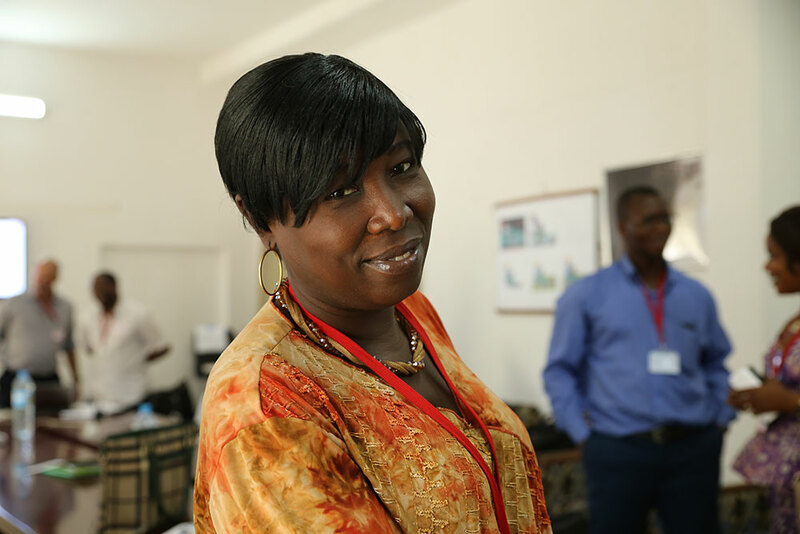 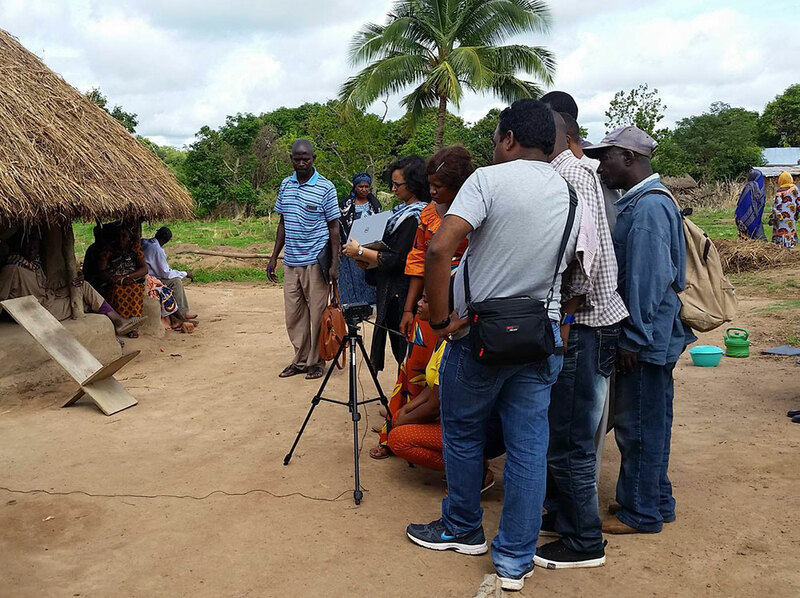 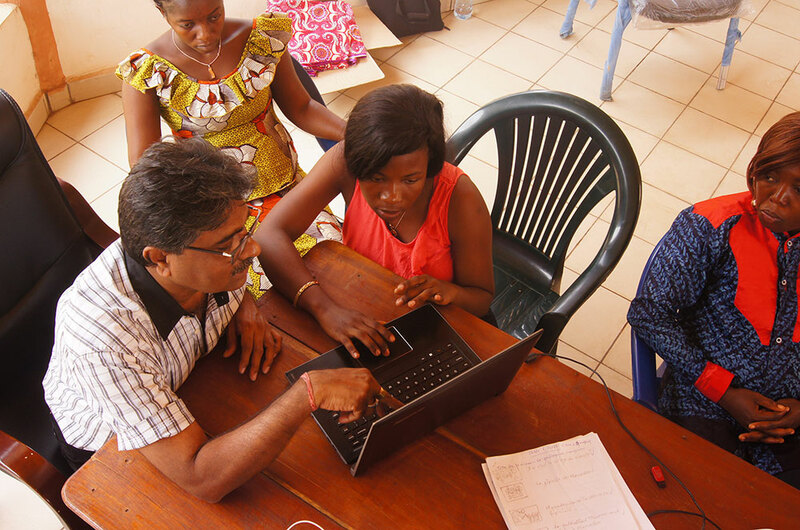 “Using community video is like having a demonstration plot in every village.” This quote from one of SPRING’s partners in Guinea helped set the tone for a learning event that SPRING/Guinea held on July 17 in Conakry in collaboration with partners Digital Green and Farm Radio International. 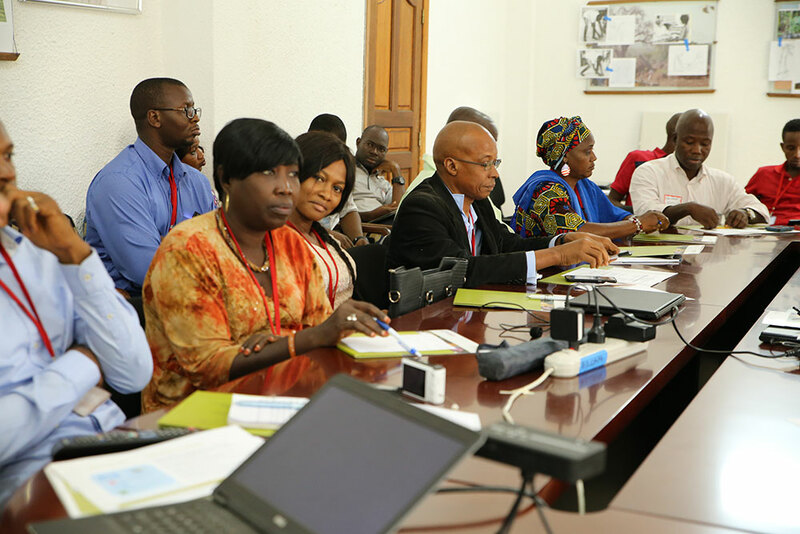 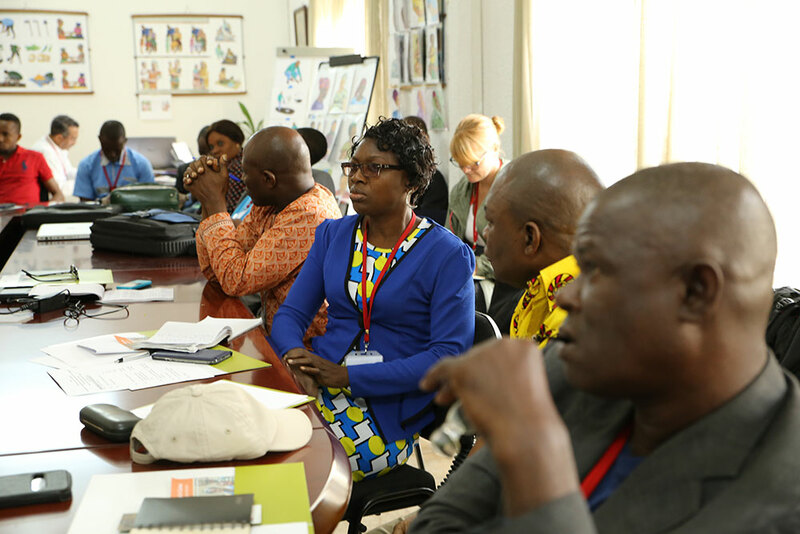 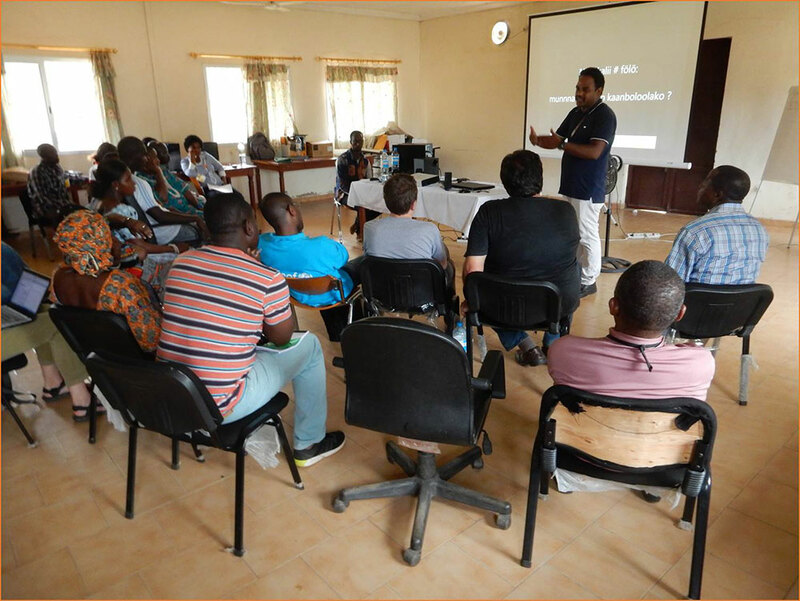 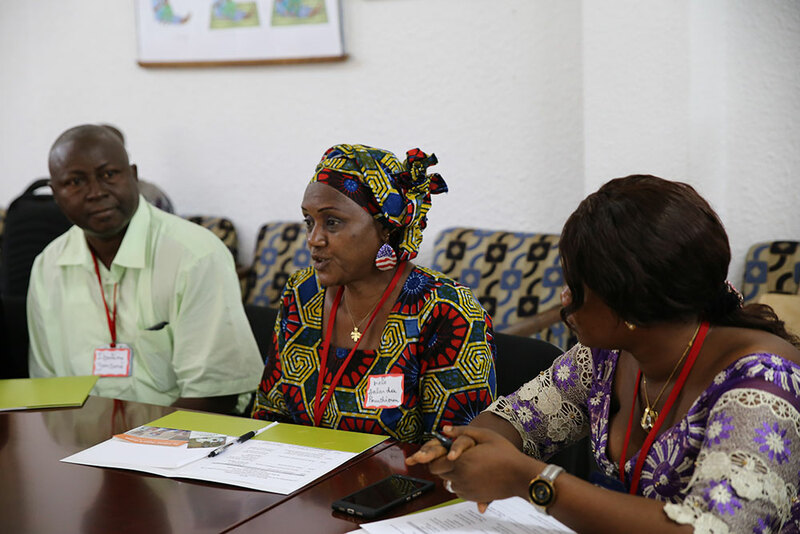 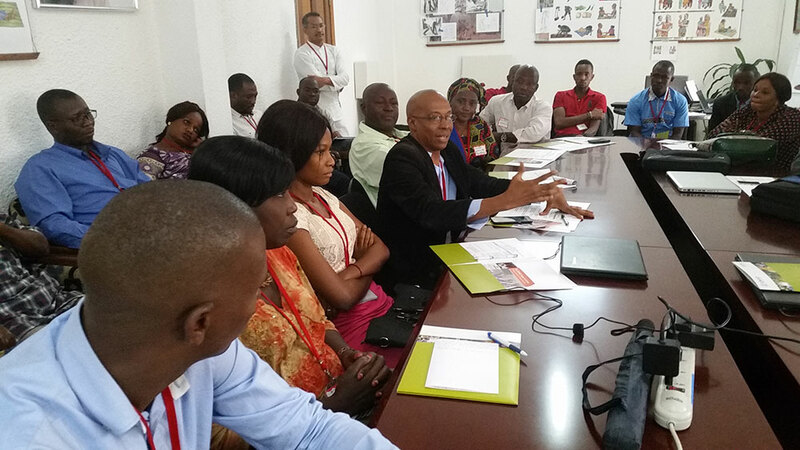 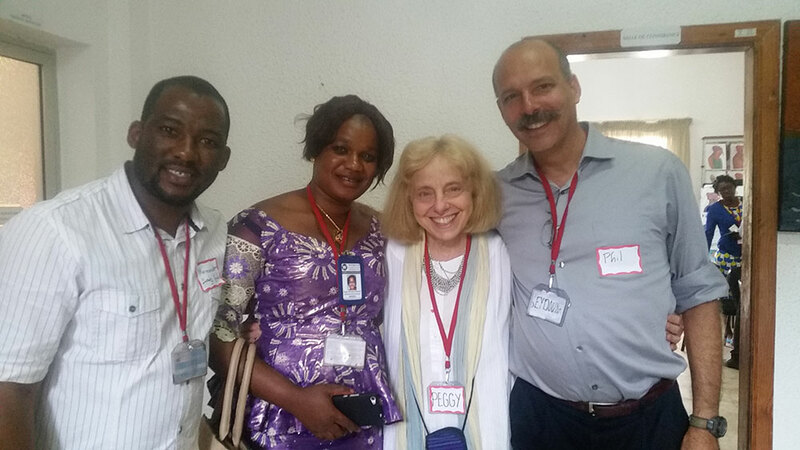 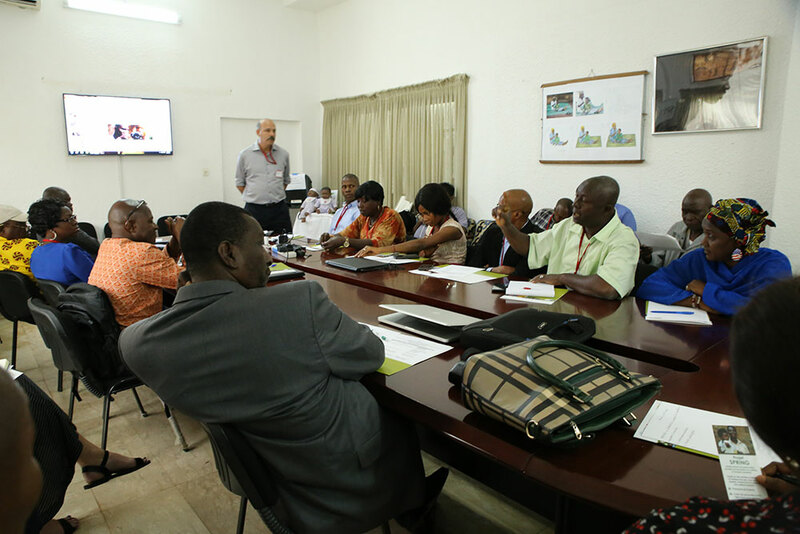 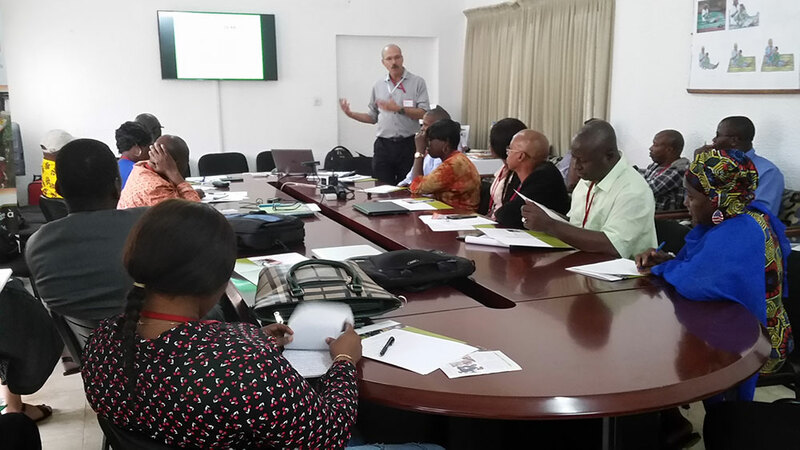 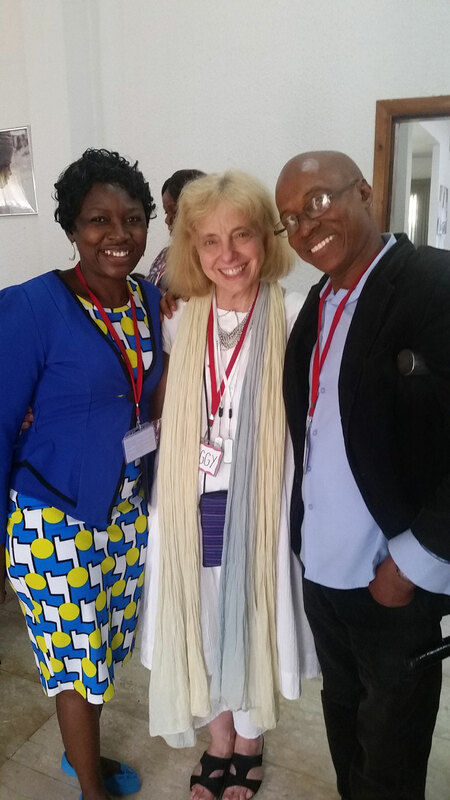 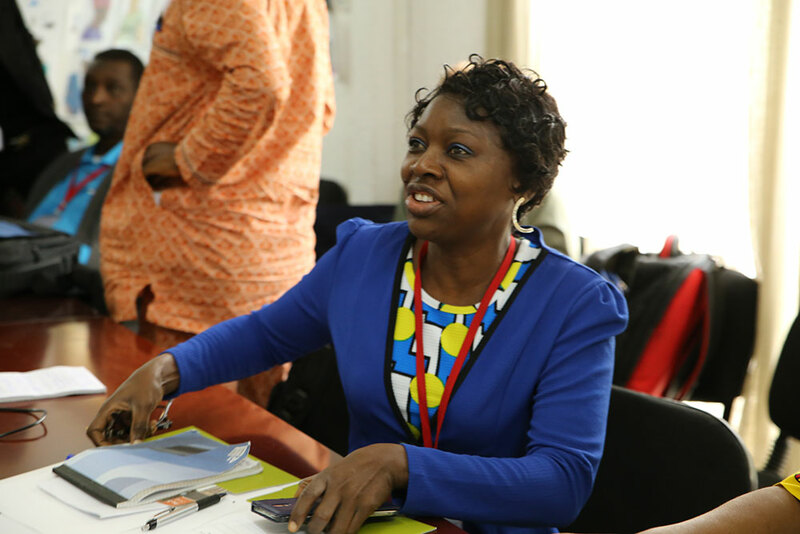 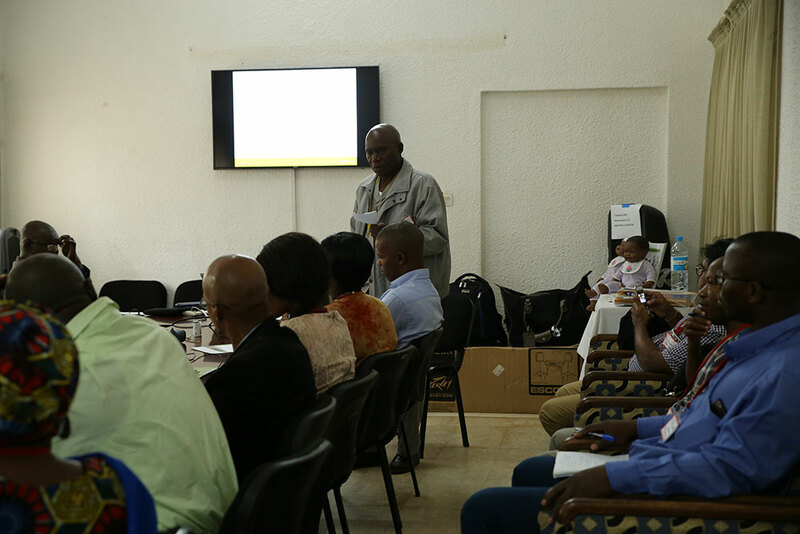 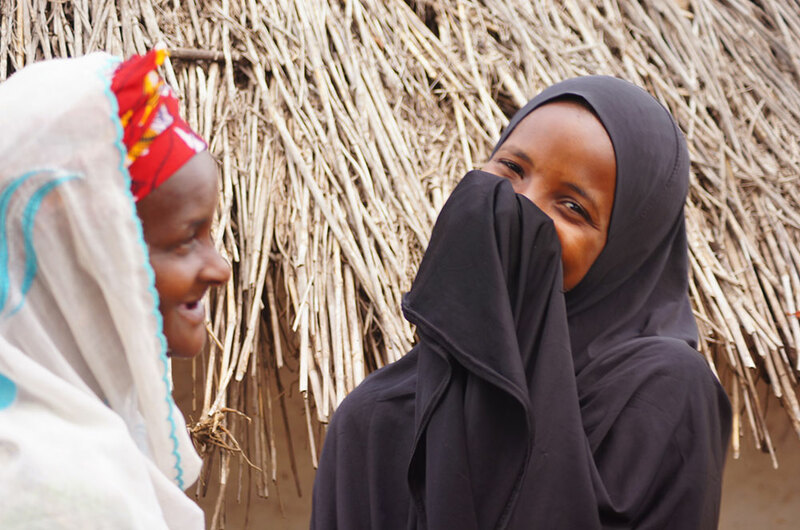 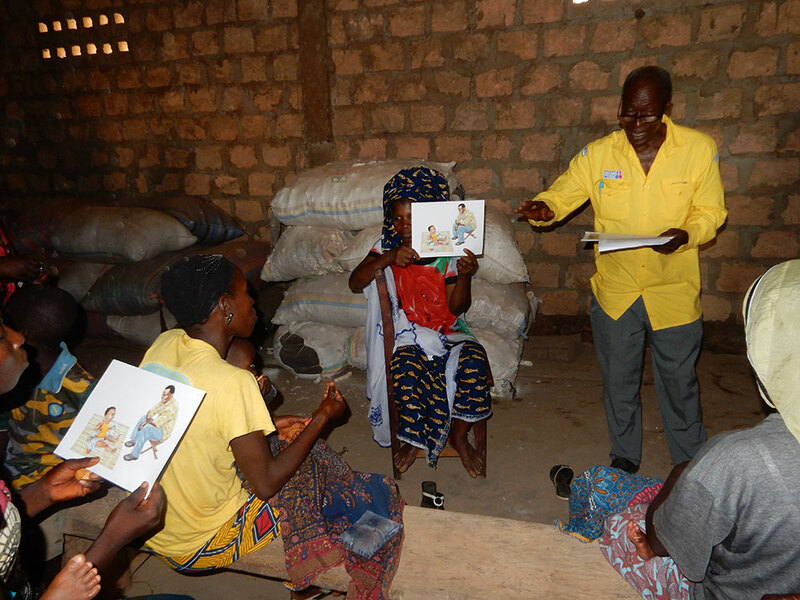 The purpose of the event was to share our new social and behavior change (SBC) resources with partners in Guinea. 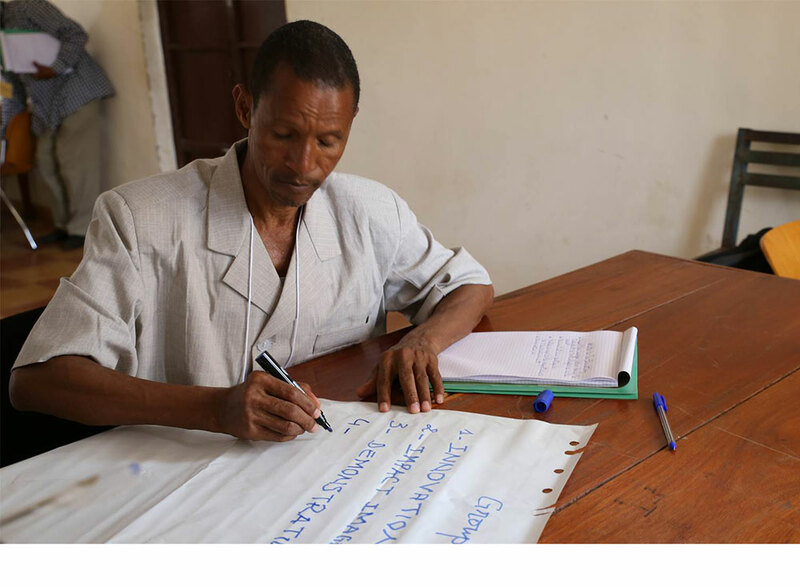 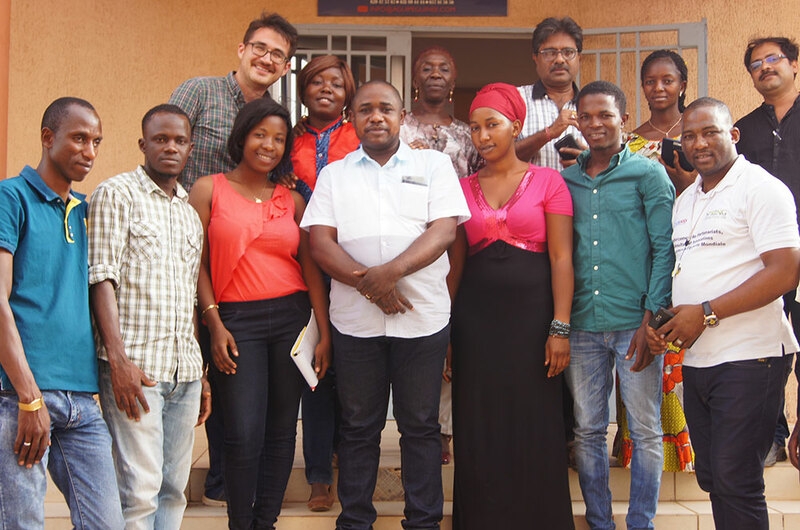 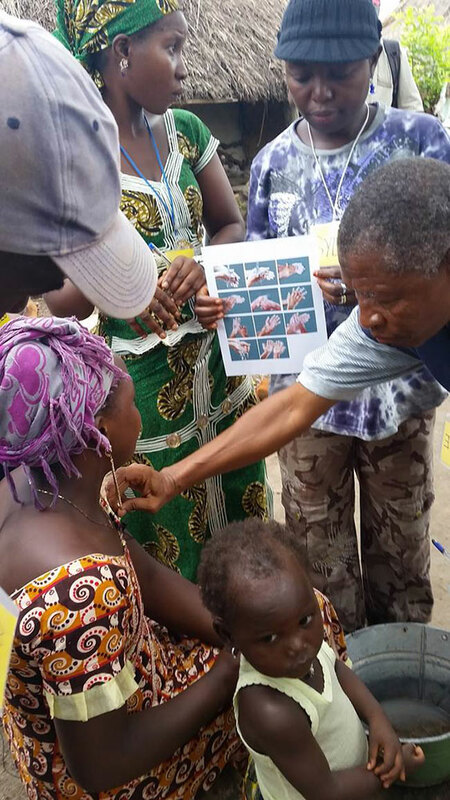 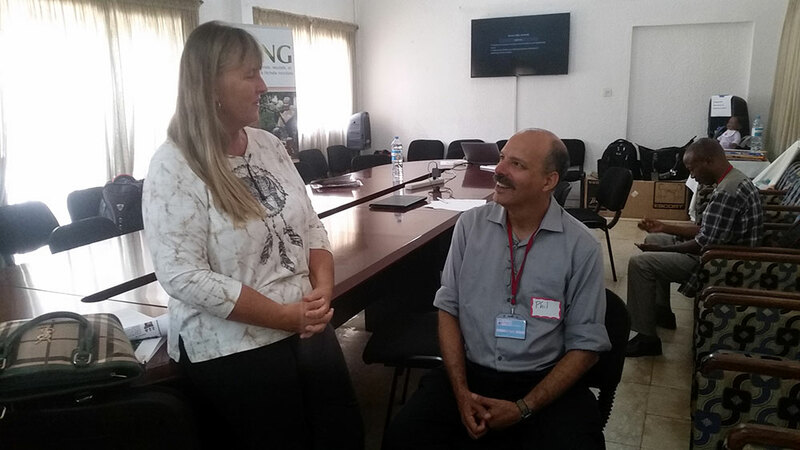 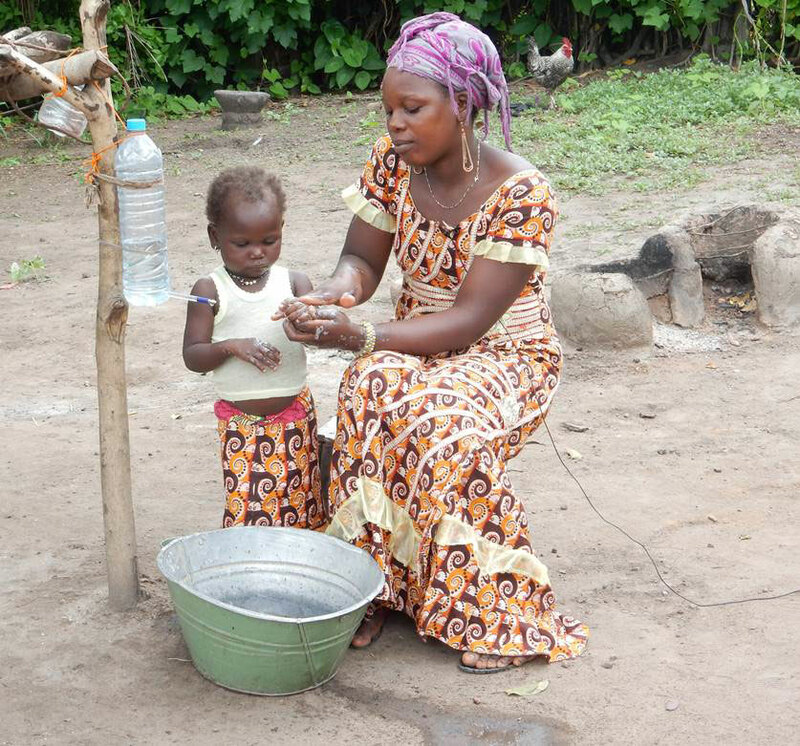 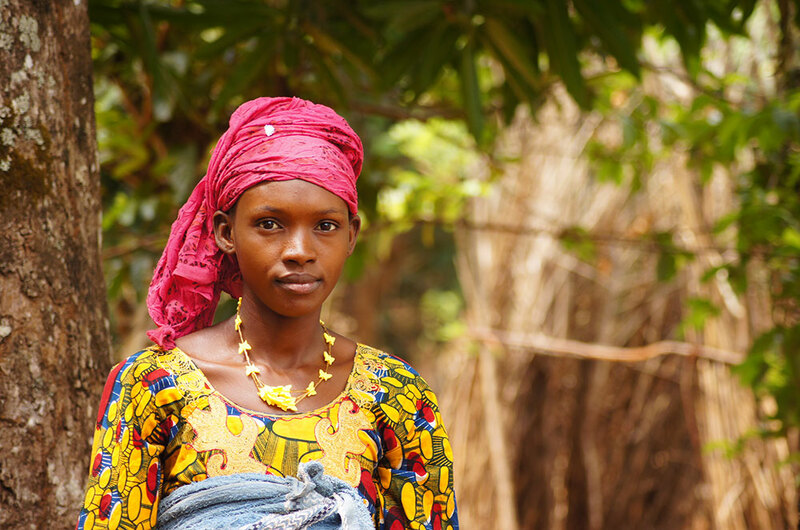 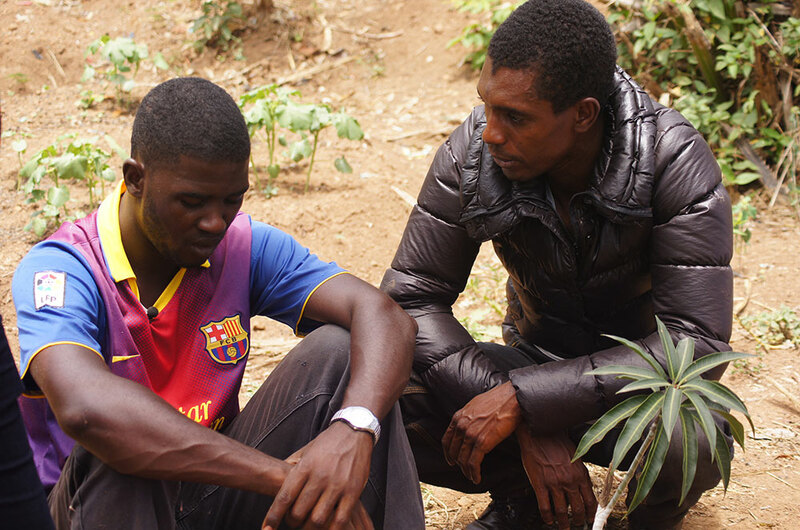 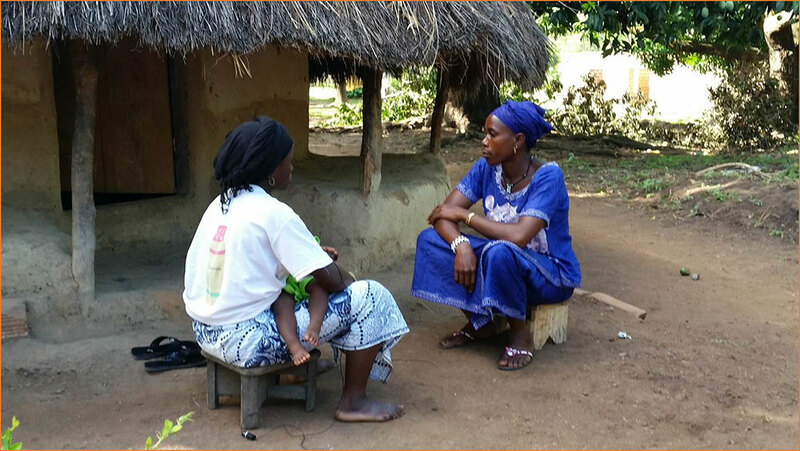 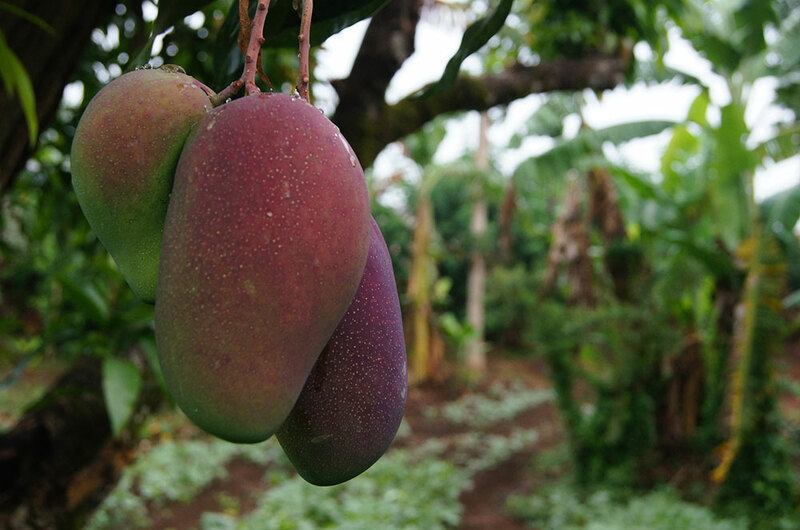 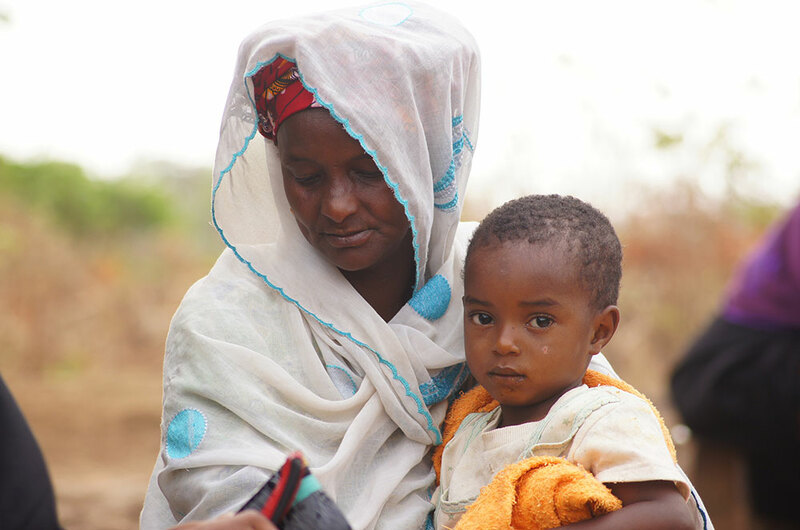 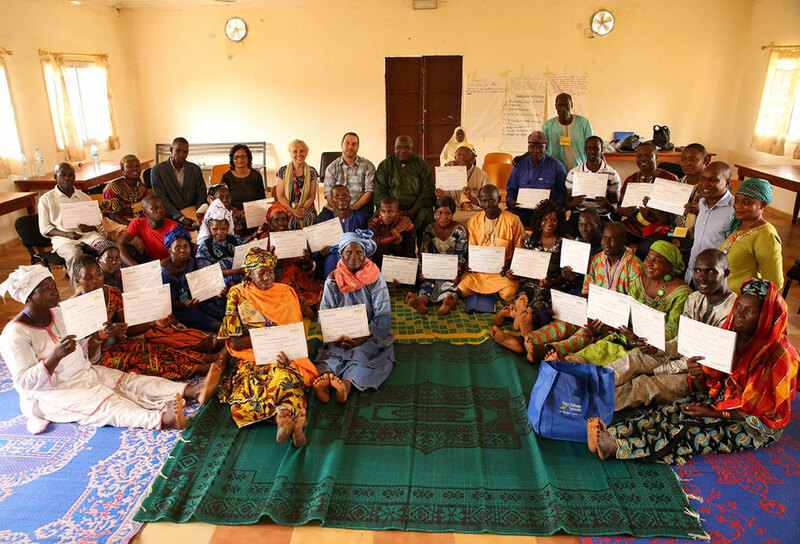 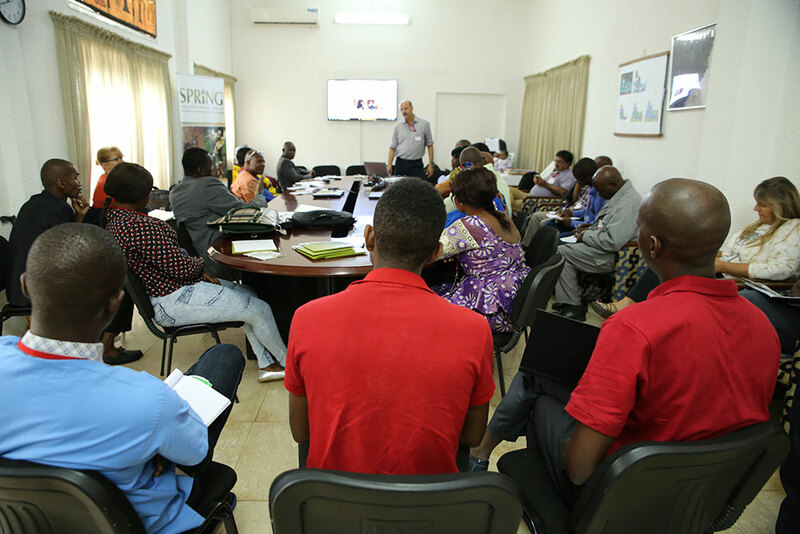 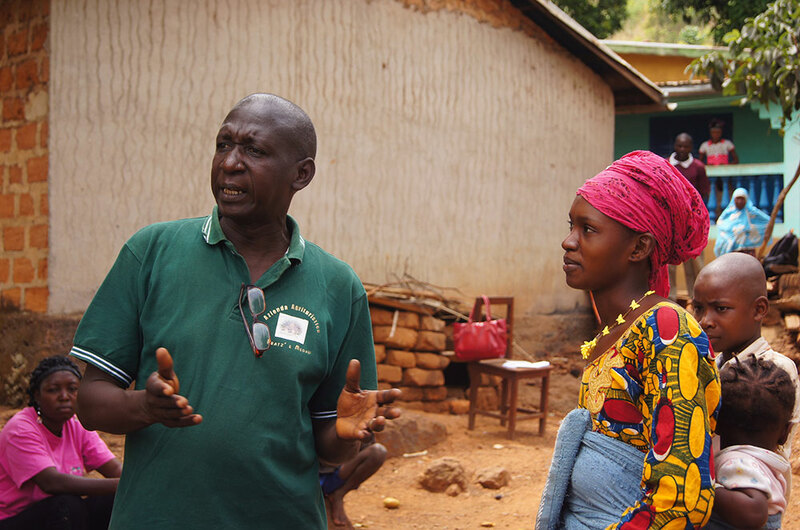 SPRING has been working with our partner, Winrock International, in Guinea since 2015 to develop and test innovative approaches to get farmers excited about adopting good agriculture and nutrition practices (including nutrition-sensitive agriculture practices). 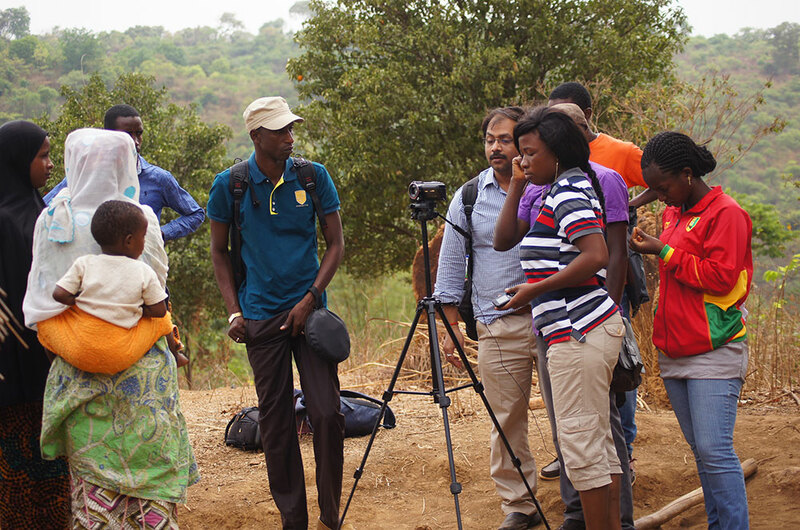 These approaches include community video, participatory community radio, and a digital technique for developing high-quality custom illustrations (photo-to-illustration). 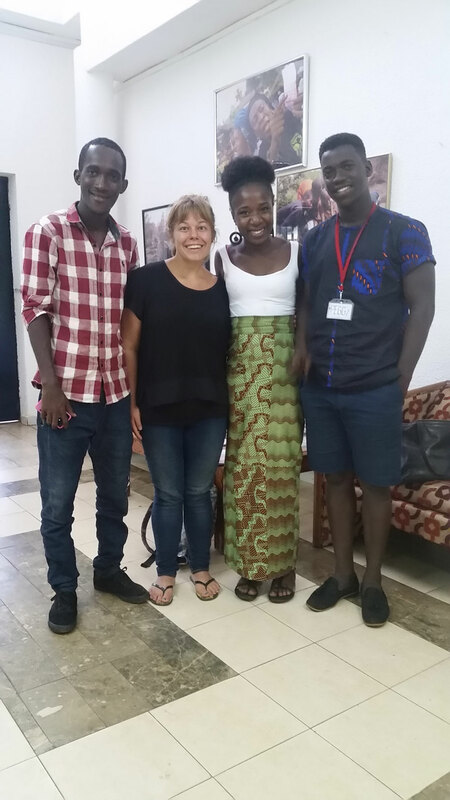 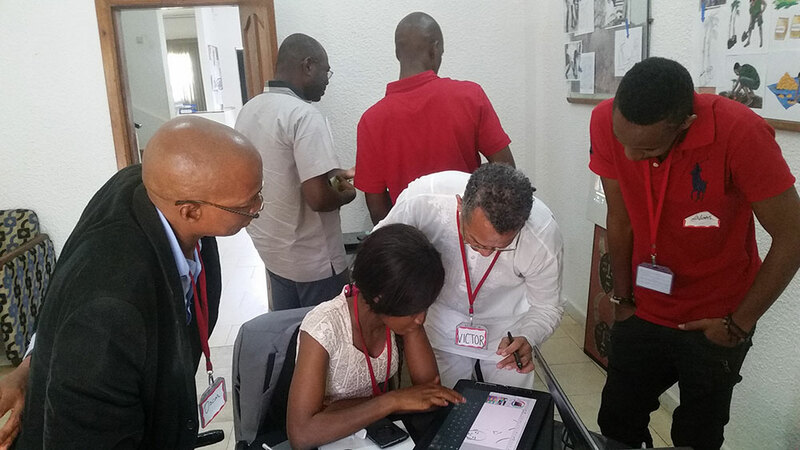 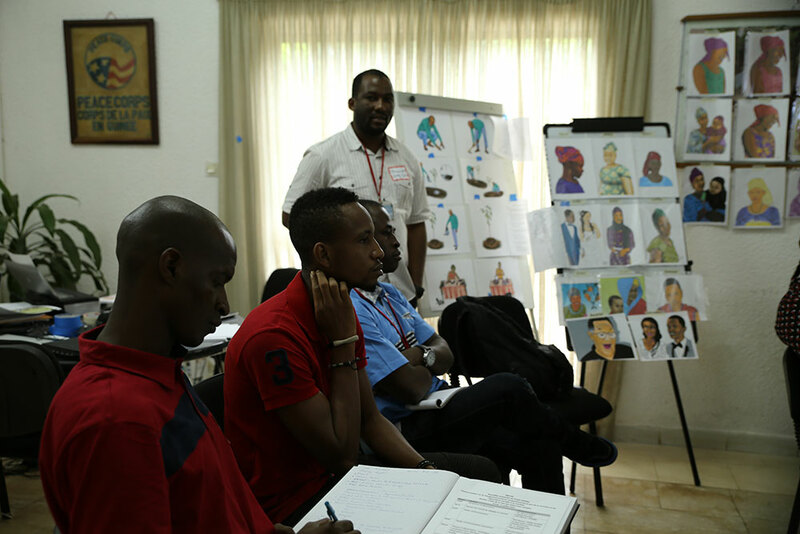 High-quality custom illustrations using digital photo-to-illustration methods with artists who had participated in SPRING/Guinea’s six-day workshop on PTI the previous week in Conakry. 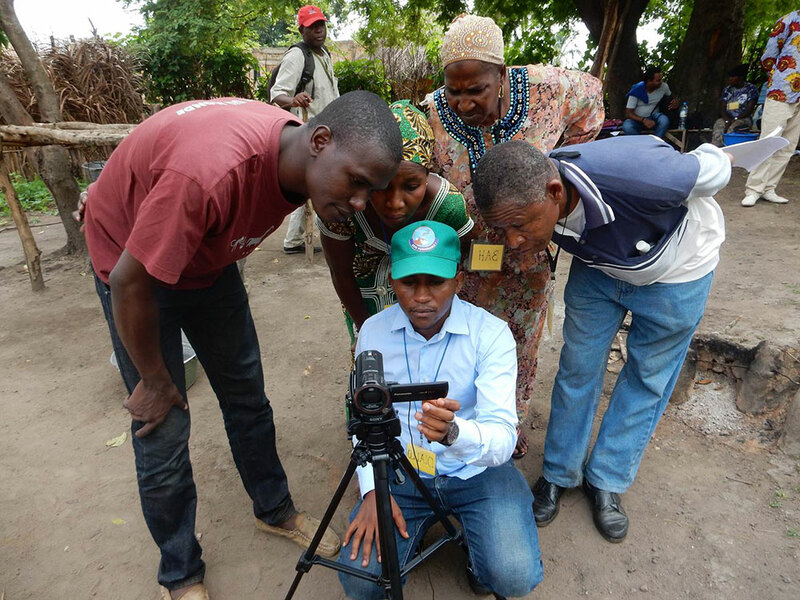 Community Video These short and inexpensive videos produced at the community level using local languages help farmers and others to discuss and get excited about trying out improved practices. 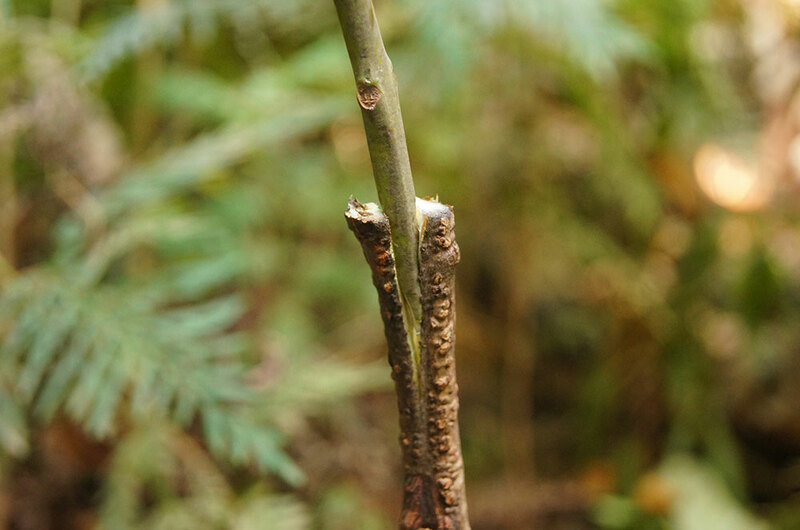 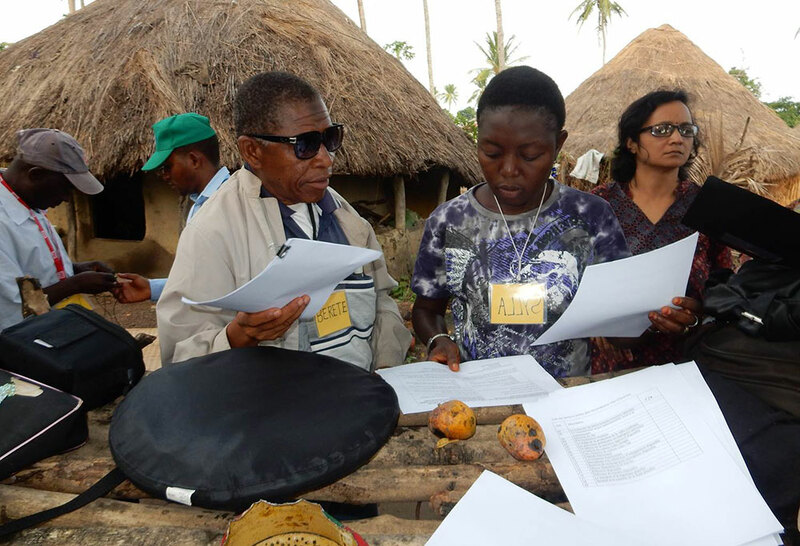 Participatory community radio. 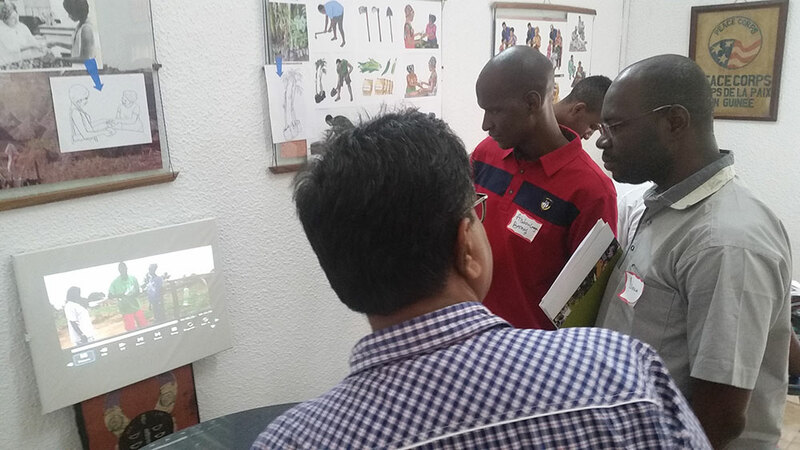 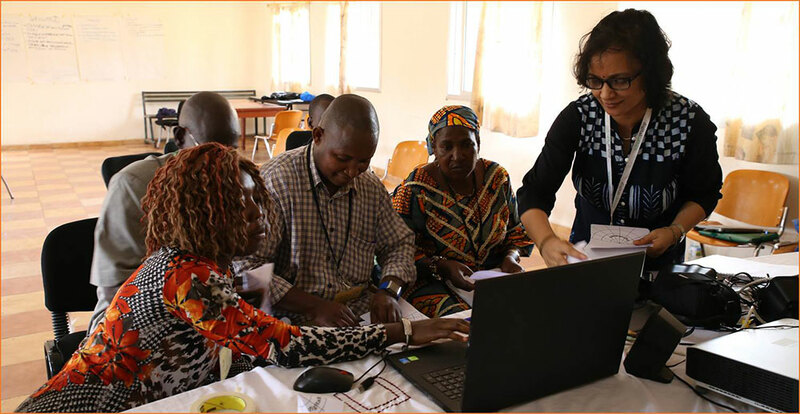 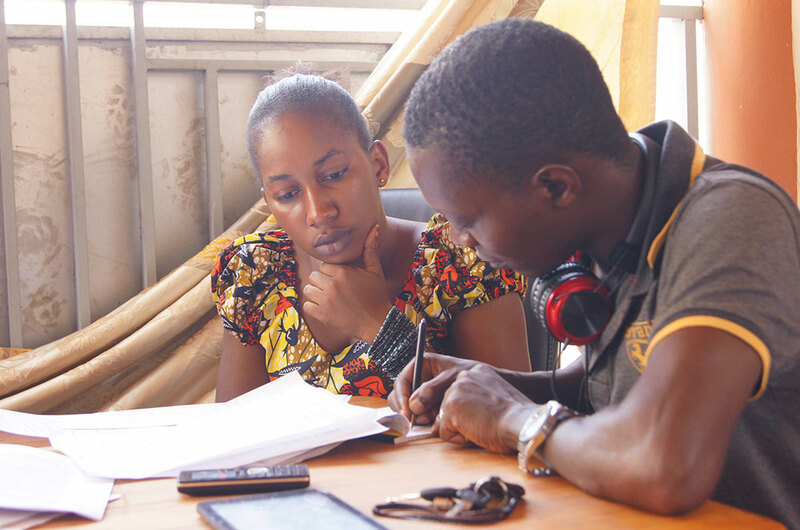 These radio shows use highly interactive techniques to spark dialogue and interest among farmers and entrepreneurs in trying out new technologies to improve agriculture production, post-harvest handling, marketing, and nutrition practices. 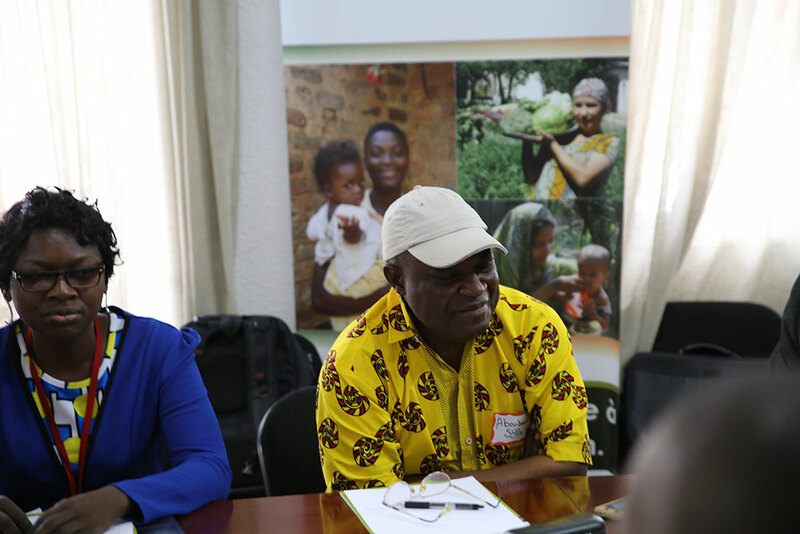 Dr. Mamy Keita (Agriculture Specialist at USAID/Guinea) opened the event emphasizing the importance of video as a tool for behavior change. 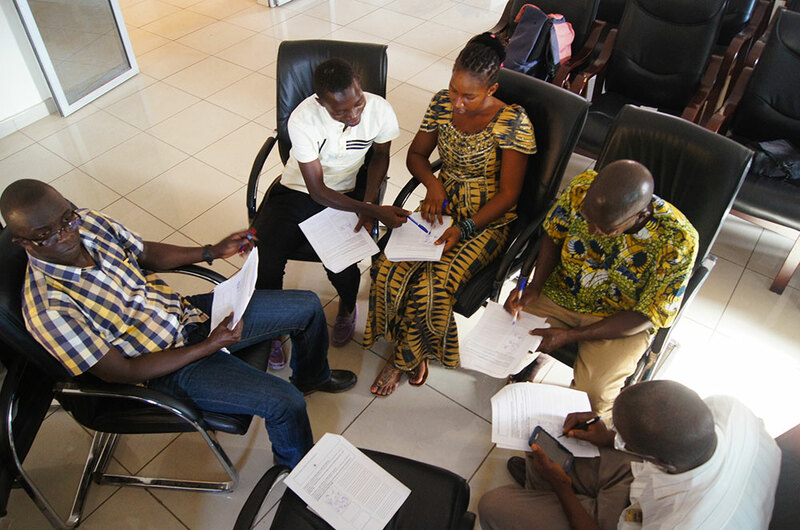 During the event, SPRING connected partners with individuals and groups – trained and mentored by SPRING – who are now ready to custom design context-specific attractive, engaging illustrated materials, videos, and radio programs to greatly improve the uptake of key practices among household, farmers, and agribusiness actors. 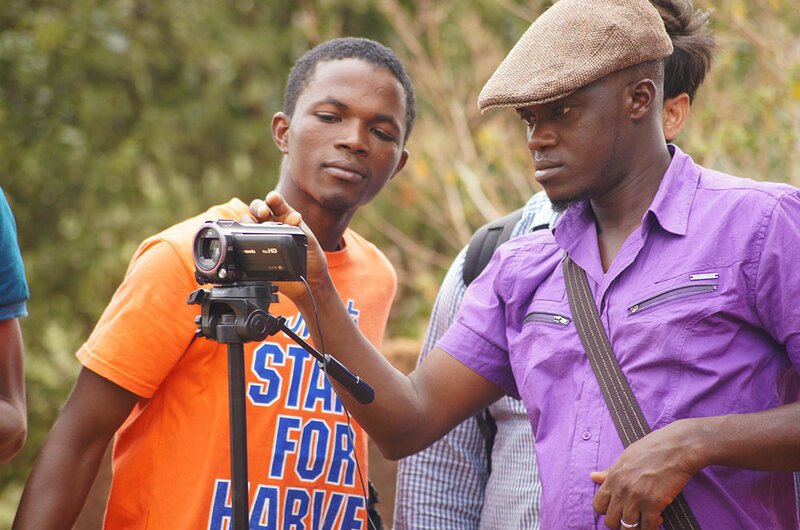 Since the event, partners have been contacting the featured local video production teams, community radio stations, and illustration artists to explore integrating these approaches into their programs. 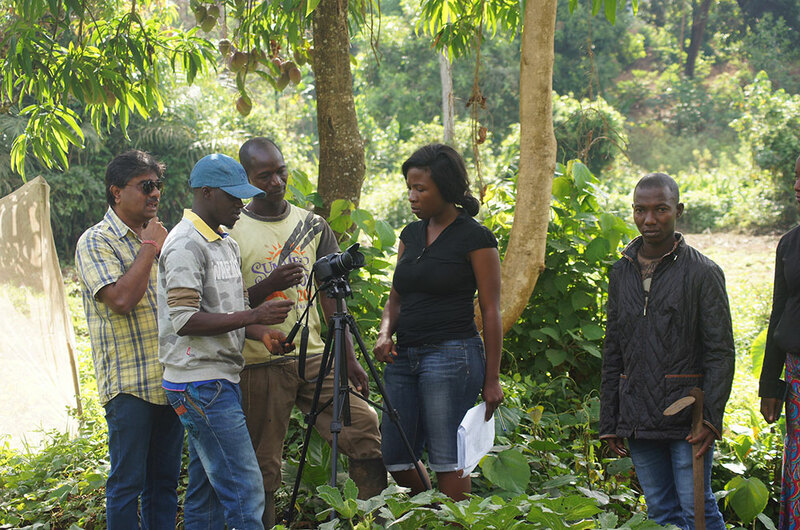 Winrock International has approached the video production teams trained by SPRING to develop 14 community videos on nutrition-sensitive agriculture practices, is planning to work with community radios and with illustration artists trained by SPRING to promote the uptake of key nutrition-sensitive agriculture practices.